Offering homeowners a lifestyle of innovation and style. Our homes are where we are truly ourselves. Beyond daily tasks and routines, achieving a lifestyle where connectivity, convenience and comfort blend harmoniously together is what makes a truly remarkable home experience. IJM Land, in recognising the importance of creating an all-encompassing household, incorporated Smart technology into urbanely-styled homes to enhance ordinary living. For those looking to take household affairs to the next level, IJM Land’s cleverly-designed double storey link houses may just be the answer. 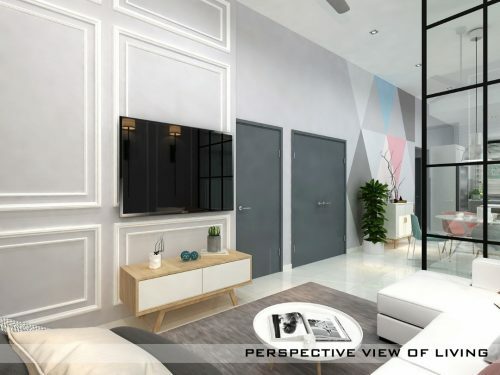 Seremban 2 Heights, a successor of the popular Seremban 2 township, is a low density integrated development that spans over 1,500 acres of prime freehold land and boasts a wide variety of spacious homes as well as amenities. Aside from housing modern and luxury properties, S2 Heights is a development that aims to take conventional living to greater heights. “As more Smart homes come into the scene, keeping up with relevant technology is quite a meticulous task but a necessary one. We wanted Rimbun Ara to be a cutting-edge home that makes homeowners feel connected to their surroundings. Our objective is to allow homeowners to be inspired by design and the way they experience the space. The feeling at home is called Smart living,” said Dato’ Hoo Kim See, Senior General Manager (Central Region) of IJM Land. In designing their inaugural Cyberhomes, IJM Land incorporated 5 elements into the development: Energy, Security, Atmosphere, Convenience, and Entertainment for a lifestyle of sheer wholesomeness. Sited on high grounds with an undulating terrain, Rimbun Ara was developed with the tech savvy homeowner in mind. Smart features are integrated, serving as quiet providers; they complement their concrete cousin, and cater to the higher needs of its owners. 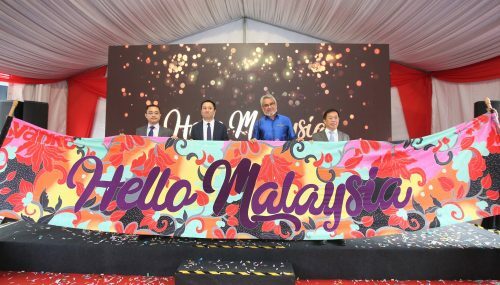 “We hope by adopting certain elements of Smart home features into our new homes, we are able to enhance intelligent living in homes and provide convenience to our purchasers,” continued Dato’ Hoo. Some of the technological perks include a universal Internet of Things (IoT) Hub, a voice controlled intelligent personal assistant device, Wi-Fi universal remote control, Wi-Fi Smart plugs, an indoor Wi-Fi camera, Smart door sensors and infrastructure-ready high-speed internet broadband. 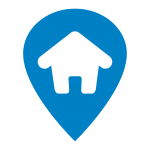 The voice command personal home assistant is able to perform tasks such as turning on home appliances, play music, and provide homeowners with requested information (e.g. news and weather). Homeowners can come home to their pre-set ambience setting with automated light, air-conditioner and music control. Conveniently turn off all lights and appliances with a single touch “All Off” function. The Climate Control feature on the other hand, allows homeowners to switch off their air-conditioning remotely or via voice command. 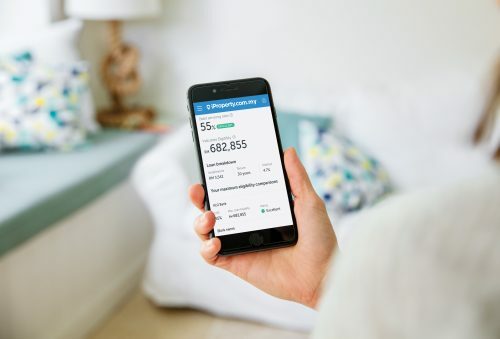 Home Energy Management feature has smart control of air-conditioner, fan speed and temperature.In unlikely cases of a security breach or intrusion, homeowners will receive an automated SMS notification. With only 105 units available, these 22’x65’ double storey link homes feature 2’x2’ porcelain tiles covering both the ground and first floor. Shower screens in master bathrooms are powder-coated window frames with tinted glass. Corner unit side balconies are secured with tempered glass railings to ensure safety—it not only reduces the risk of injury caused by jagged glass shards but is also heat resistant. Homeowners will also be glad to know that Rimbun Ara is a guarded property development with surround perimeter fencing—an ideal and key component for a successful and safe home environment. Rimbun Ara homes are priced from RM586,800 for intermediate lots. For households with more than one vehicle, Rimbun Ara units come with extended porches in keeping with the key trait of spaciousness. Another highlight is the entrance lock with a digital clock display that can be secured with a password, card or key—a safety feature designed with the homeowner’s wellbeing in mind. The system is even flexible enough to create temporary passwords for single entries. IJM Land developed Rimbun Ara to cater to the everyday needs of the modern-day homeowner without compromising on comfort and practicality. Homeowners can come home to a feeling of exclusivity and relaxation while gracing the lines of personalisation and familiarity. 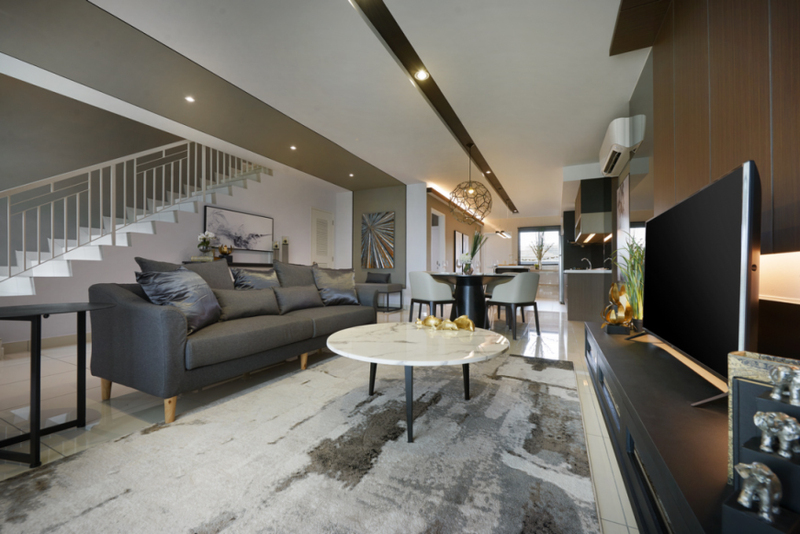 The first thing that would strike one upon entering is the modern art piece in the living room, the dark wood feature wall inserted with dark colour mirror walls on both sides, amarble coffee table and a cosy sofa which is perfect to unwind and recharge. Rimbun Ara adopts a modern composite look where textured finishes are artfully woven into the façade. Its sleek and clean concept is aesthetically pleasing. Its contemporary design is evident in the neutral colour palette, giving the home softer hues akin to a warm familial embrace. The strategic placing of mirror walls enhance space, altogether contributing to the overall concept of the home. In Rimbun Ara units, tastefully created spaces that are well-connected come to play thanks to the harmonious interplay of proportion and scale. The guest room or parents’ room on the ground floor is described as “minimalist and spacious”, using cool colours to create a warm and comfy setting, while the attached bathroom is designed to be friendly for elderly family members. Not to mention, it includes an extra wide sliding door to accommodate for wheelchair access. The master bedroom is elegant and spacious. The creative use of dark and light wood panelling is combined with a glossy black panel, making the entire composition a rather cosy space. Together with its ensuite bathroom, this room is the perfect private retreat to calm a busy lifestyle. The clever use of recess lightings for open concept shelves and high ceiling in the family hall creates a sense of welcome and contentment. 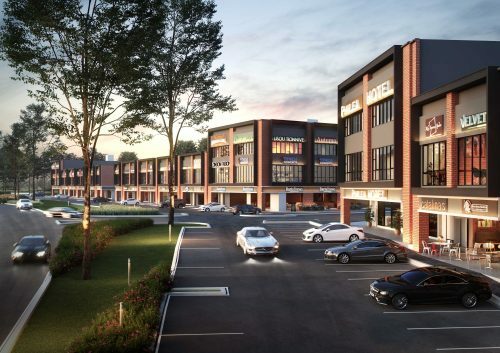 Rimbun Ara is strategically located to provide quick and easy access to a number of major expressways that link the development to major centres in the Klang Valley—in the North as well as the key Southern cities of Melaka and JB. It is ideally located beside the Seremban 2 Toll Plaza (2.5km) and the new Ainsdale Toll, a mere 1km away from the resident guardhouse. Residents can enjoy recreational activities at the 15-acre City Park, 30-acre adventure Hill Park, 34-acre Sports Complex and the S2 Community Club—located within close proximity to S2 Heights. 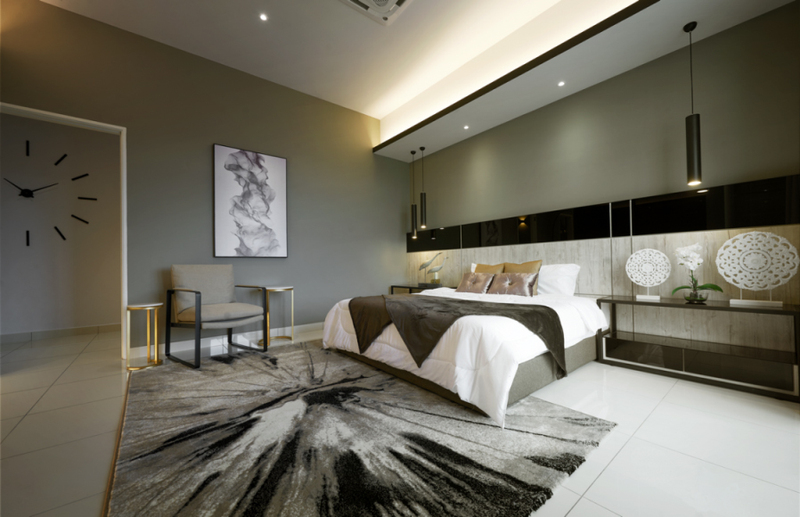 S2 Heights’ proximity to Seremban 2 Township will provide its residents easy and convenient access to all essential amenities, schools, business centres, parks, shopping and entertainment outlets. Residents can easily purchase groceries from Aeon Seremban 2, which is 4km away from Rimbun Ara. Alternatively, other supermarkets are also within close proximity including Mydin, Tesco and NSK Trade City. For households with young children, parents will have a variety of institutions to choose from as surrounding the township are five national schools, two Chinese primary schools and an international school. For medical and health access, residents can visit Columbia Asia and SEHAT Healthcare Centres situated nearby. Over the last few years, Seremban 2 has continued to see a positive increase of buyers from Klang Valley, many of which are choosing to make Seremban 2 their home while making the daily work commute to Kuala Lumpur via easily accessible and well-networked series of expressways. Rimbun Ara’s Cyberhomes are a stepping stone for many more developments to come. “We will continue to explore and take better advantage of sustainable technologies into our homes as well as our future development as a whole—we hope to build liveable, smarter and safer developments,” said Dato’ Hoo. For more information, please visit seremban2.ijmland.com.